The staff at this hotel were extremely friendly. They have great vibe and very sweet. The hotel was really clean. We truly enjoyed ourselves. The apartment was perfect for our family of 3. Perfect size and accommodations. 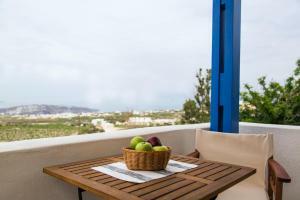 A perfect location in Pyrgos. The staff was amazing and super friendly. Excellent breakfast. I would definitely stay here again. Very central to the local buses for transportation through the island. Exceptionally friendly and welcoming staff who go out of their way to help you with anything - very accommodating. Breafast delivered to yr door every morning and a generous serving of omelettes, fresh tomatoes and olives, breads and pastries, meats and cheese,freshly squeezed orange juice and coffee. Katherine arranged transfers when needed and organised tours. The rooms are cleaned daily and new linen. Overlooks the caledra sensational picturesque views. The service of this apartment it has been perfect, Katherine helps wih everything you need it. The breakfast is generous. The best place to be. It was so clean and beautiful Greek style rooms. We were given the best room. The lady at the reception was the kindest person and helped around with transportation and everything we needed. The breakfast was freshly made and yummy! Was extremely happy with my stay at Cultural House. Very welcoming staff and excellent service. Very clean and in a beautiful location. Breakfast was amazing!! Lock in a great price for Cultural House – rated 8.7 by recent guests! One of our best sellers in Pyrgos! 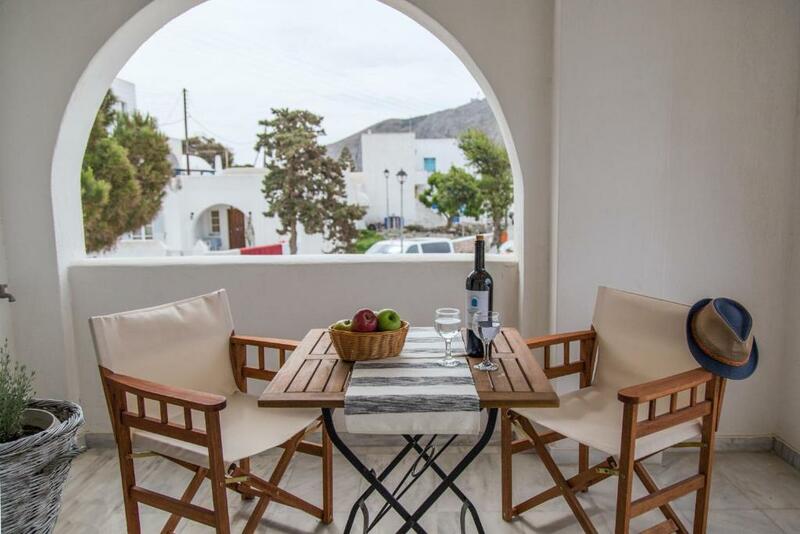 Centrally located in the traditional settlement of Pyrgos in Santorini, Cultural House offers free WiFi and Cycladic-style, air-conditioned rooms with a balcony. 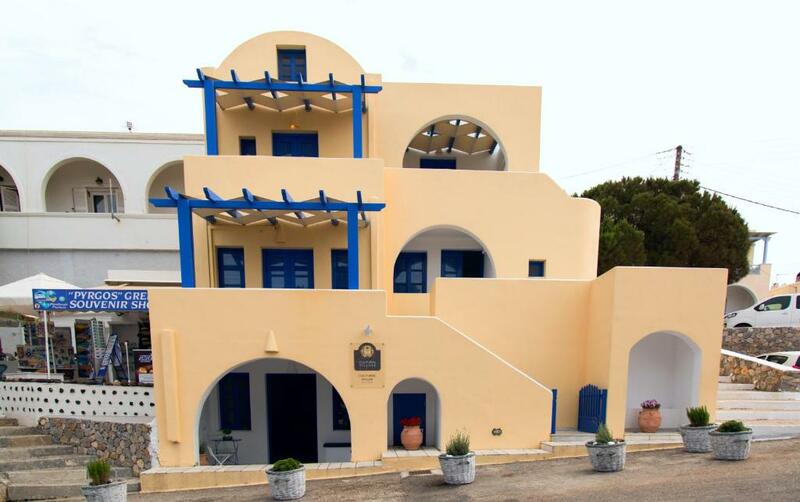 This B&B is 3.1 mi from Santorini Airport. Each room is decorated with blue color schemes and quality wooden furnishings. Rooms all include a mini-bar, a flat-screen TV and a private bathroom with hairdryer and free toiletries. At Cultural House you can spend relaxing moments on the shared terrace. 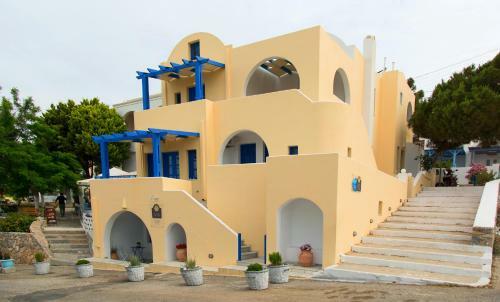 The bed and breakfast is 1.2 mi from Art Space Santorini Museum. Santorini Port can be reached in 20 minutes by car. 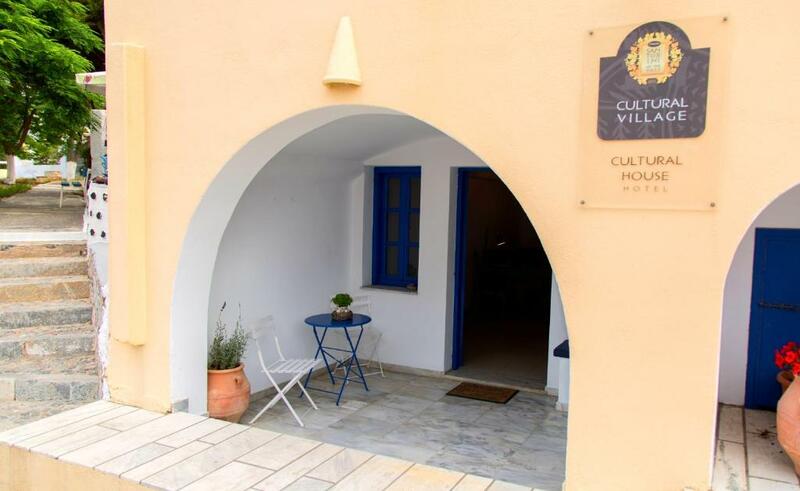 When would you like to stay at Cultural House? Air-conditioned unit with a balcony, a mini-bar and a flat-screen TV. The private bathroom includes a hairdryer and free toiletries. Spacious air-conditioned apartment with a balcony, a mini-bar and a flat-screen TV. The private bathroom includes a hairdryer and free toiletries. 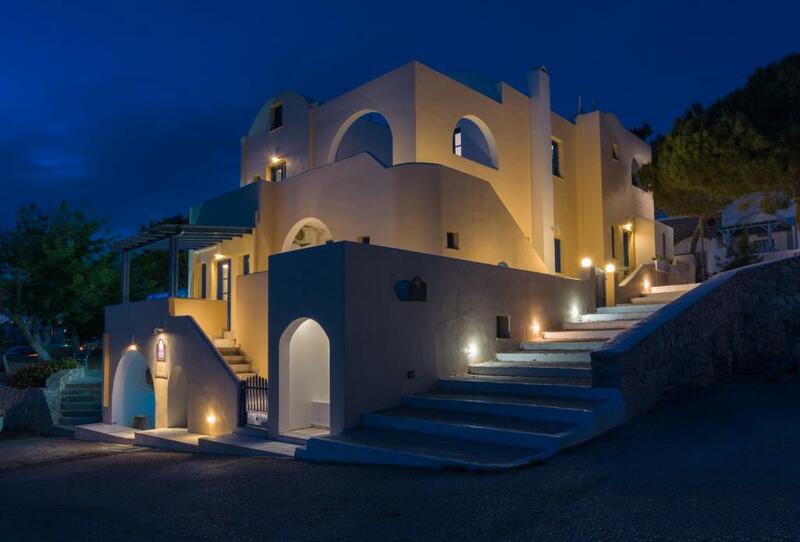 Enjoy your stay with local people and have the chance to feel the authentic hospitality of people born and leaving in Santorini cause We are there for you 24 hour for anything you might need! Get to know the santohouses team so you can feel Greek hospitality do not forget We can and we will ! House Rules Cultural House takes special requests – add in the next step! Cultural House accepts these cards and reserves the right to temporarily hold an amount prior to arrival. Please inform Cultural House of your expected arrival time in advance. You can use the Special Requests box when booking, or contact the property directly using the contact details in your confirmation. Catherine and margarita were very helpful and kind. It was a little away from the town but not as much. The hotel is amazing. Truly recommended. The staff super helpful, breakfast amazing! 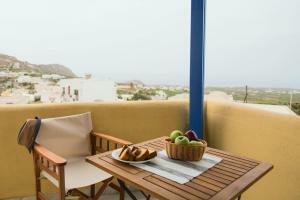 The room were super spacious with two balconies and Santrorini style shower, kitchen and mini living room. The reception was amazing, they gave us all the information, helped us - we arrived very late at night and left in the middle of the night - there was no problem. 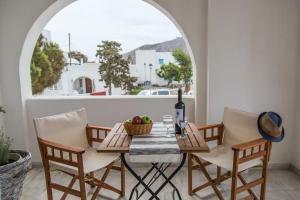 Hotel is in the heart of Pyrgos town, in the very center of the old town, in the small white Santorini streets. Its super calm and peaceful and amazingly beautiful. Also there is place near the hotel to leave your car or motorbike, super market, coffee place and restaurants. Hotel looks way better than in the photos and the surroundings are beautiful, a lot of restaurants with the view of all Santoroni island. What we recommend is to see the sunset from Pyrgos castle - its the best place in Santorini island because you can see all the island (Oia, Thira) and the Vulcano. We recommend this hotel for everybody and we will come back for sure! In love with this place. Size of property, breakfast, close to restaurants , close to mini mart. The hotel rooms size was perfect for us and the amenities met our needs, however the beds were extremely hard and uncomfortable. The room was hot but I know it's because the air condition is located in the sitting room. The bathroom was a little bit small. And the mattress too hard. The breakfast was very good. The staff was forthcoming, helpful with everything we needed and always smiling. The last day we even got our breakfast past the regular time. WiFi worked perfect. The check out was at 2pm. The room was ready at 2:30. Not fun to wait when it is hot. Breakfast was at 9:00 am, it arrived at 9:30am. Not fun if you have already arranged a tour, it rushes you or worse yet, you might miss the scheduled activity. However, we felt rushed to check out at noon. I felt we could be a little late as they were.